In an emotionally-charged letter to the 22,000-strong employees, Goyal also said the approval of the debt-recast plan will put the carrier on a sounder and sustainable financial footing. 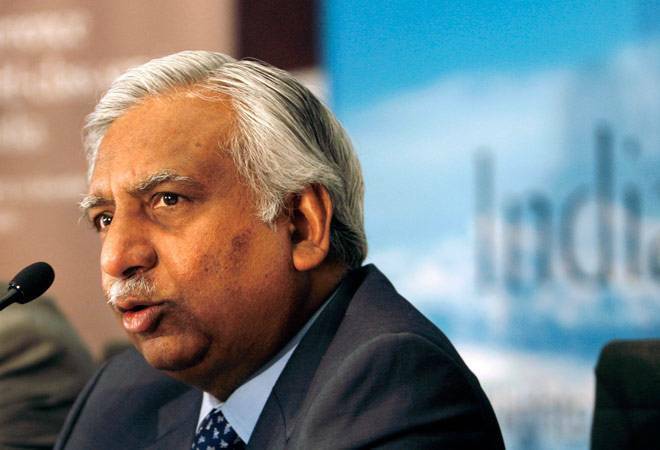 Jet Airways founder Naresh Goyal, stepped down from the company board on Monday along with his wife Anita. Goyal who was the Chairman of the 25-year old airline penned an emotional letter to the Jet Airways employees. In the emotionally-charged letter to 22,000 employees of the airline, Goyal said that the approval of the debt-recast plan will place the company on a more sustainable financial footing. He also added that looking back, he would not change one single thing - not the triumphs and not the trials and tribulations. "I'd like to humbly and with immense love and gratitude, inform you that both Anita and myself are stepping down from the board of Jet Airways with immediate effect. Our airline stands poised to turn the page, ready to fly out of the turbulence and soar into a bright new future," he added. "We've not come to this decision lightly but this is not the end of the journey, rather it is the start of a brand new chapter," he said. "For the past 25 years, Jet has been a way of life for Anita and me. Very few people are fortunate enough to live their dreams and we have been truly blessed to be one among those few," Goyal said. "I have watched with pride as our airline has grown from a fleet of just 4 aircraft flying to 12 destinations in our first year, to a peak fleet of 124 aircraft connecting our guests to over 550 destinations worldwide. We connected the length and breadth of India at a time when flying was considered a luxury in our country, growing to become India's premiere full-service airline and a true flag-bearer of warm Indian hospitality around the world," he said. Thanking the staff Goyal said, "This has all been possible because of the tireless, unrelenting efforts of each and every one of you, tight-knit members of our Jet Airways family, setting guest-service benchmarks to the envy of our competitors, helping us collectively realise our dream of our Jet Airways emerging as a global gold standard of warm Indian hospitality."